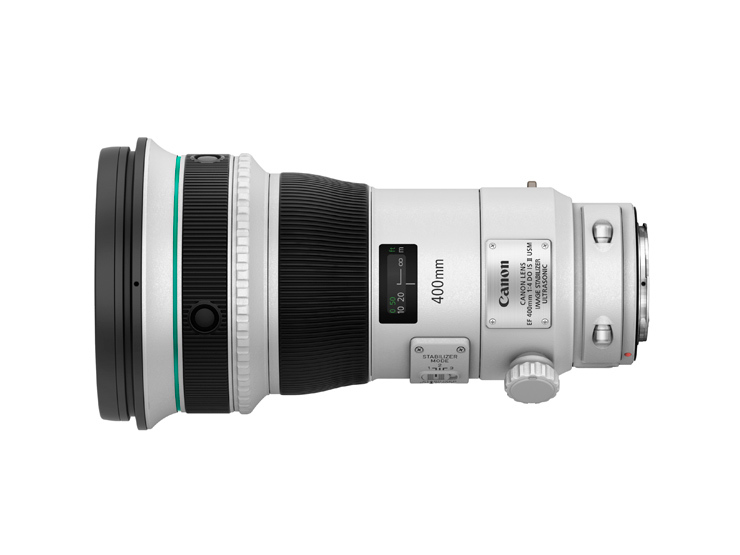 Canon 400mm f/4 DO IS II USM Specification: Slightly heavier but better optical performance? If you make your money from sports or wildlife photography, or just take it very seriously, a top quality super telephoto lens is a must. 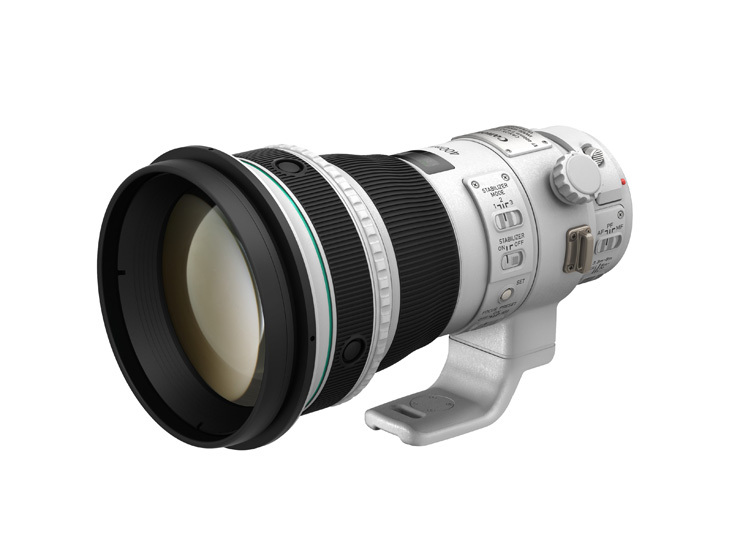 The new Canon EF 400mm f/4 DO IS II USM is an updated version of its predecessor, featuring a revised optical arrangement, with new lens elements and coatings, to improve its optical performance. If you’re lugging a bunch of glass around the wilds of the African plains, or between sporting events, the size and weight of your super telephoto lens is going to be pretty significant. The new DO abbreviation in the lens name stands for Diffractive Optical, and Canon claim the introduction of newly developed ‘Gapless Dual-Layered Diffractive Optical’ elements has improved the optical performance of the new lens, while maintaining the weight of the original lens. In fact the new lens is a little heavier, 2100g compared to 1940g for its predecessor, but that extra weight might be worth it for better performance and the new lens isn’t physically bigger. To help reduce flare the new DO lens elements have been positioned towards the back of the arrangement and a new fluorine coating has been applied to the front lens elements to repel dust and make the lens easier to clean. 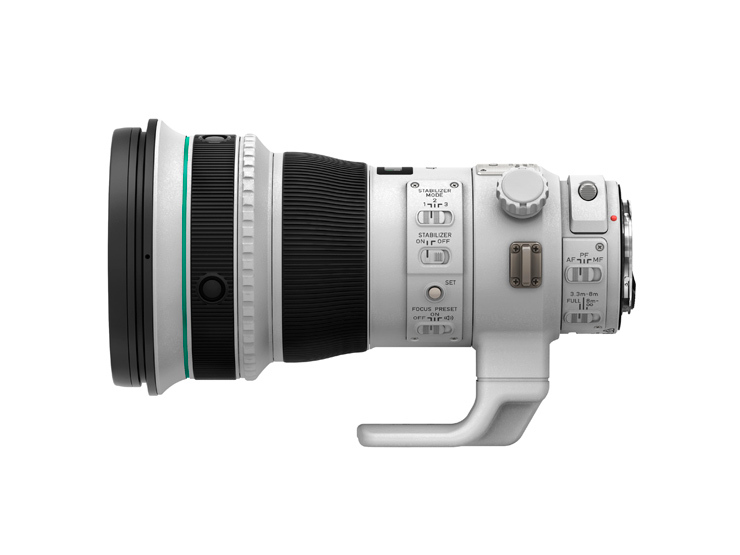 The new Canon EF 400mm f/4 DO IS II USM features four program buttons on the barrel to customize the lens operation, full-time manual focus override and a Power-Focus mode for videographers after a smoother ‘pull focus’ effect. Image Stabilisation offers up to 4-stops of anti camera shake so, in theory, sharp shots of relatively static subjects using shutter speeds as slow as 1/30th sec are possible. The image stabiliser offers three different modes, standard, panning and only during exposure and Canon advise Image Stabilisation doesn’t need to be disabled when using the new 400mm super telephoto lens on a tripod. The new Canon EF 400mm f/4 DO IS II USM is designed for Canon full frame cameras such as the EOS 1D-X or 6D but is also compatible with Canon APS-C sensor DSLRs such as the new EOS 7D Mark II, on which it offers a 640mm focal length thanks to the 1.6x Canon crop factor.